Two stem cell researchers have shared the Nobel Prize in Medicine for 2012, Britain’s John B. Gurdon and Japan’s Shinya Yamanaka. By a serendipitous coincidence, Gurdon made his discovery in 1962 – the year of Yamanaka’s birth. Fifty years of stem cell research have brought cures for intractable diseases within reach but they have also generated controversy. Between 2001 and 2008, stem cell research vied with climate change as the stormiest issue in science. 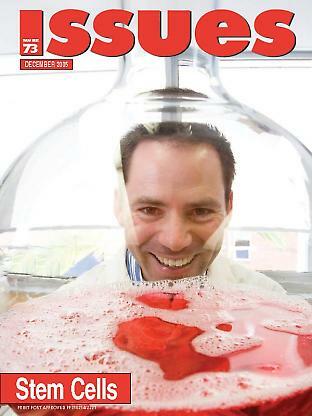 This article was first published in Australasian Science (www.australasianscience.com.au). The isolation of the first human embryonic stem cell (ESC) line, just over a decade ago,1 provided a remarkable catalyst for a revolution in medical therapies that could treat a wide variety of debilitating clinical diseases. ESC technologies have since developed rapidly. While scientists caution that clinical trials are still several years away, patient expectations for badly needed treatments are high, placing increasing demands on the ethical and regulatory boundaries and leading to continual public debate and revision of legislation.